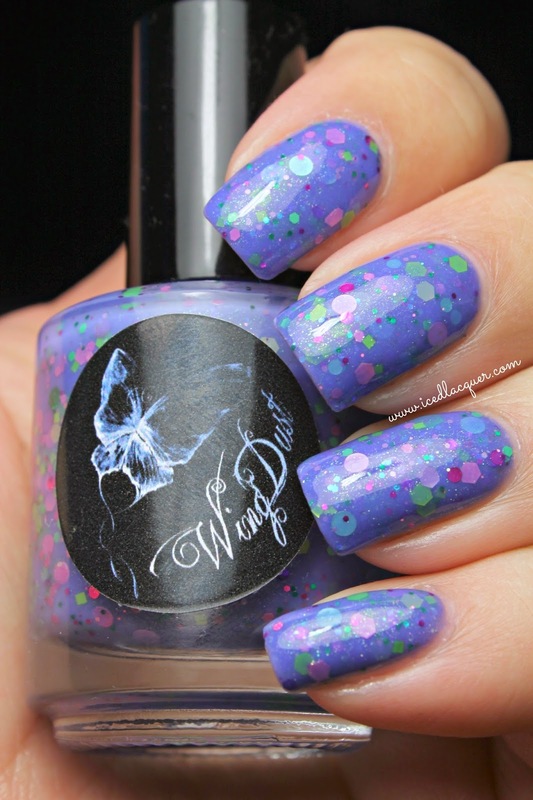 WingDust Wednesday: "Imagine Me n' You"
WingDust "Imagine Me n' You" - A periwinkle base is filled with lime green hexes, dots, and squares, green holographic dots, lilac hexes and dots in a couple of sizes, fuchsia hexes and small dots, light pink holographic dots, pale aqua dots, and a whole bunch of silver shimmer. At first I was concerned because my bottle had quite a bit of glitter stuck on the inside of the bottle wall, but once I applied my first coat I could tell that there is plenty of glitter incorporated in the crelly base. I used three thin coats plus top coat for these pictures, but I think you could easily do two thicker coats. I absolutely love this combination of pastels and neons. 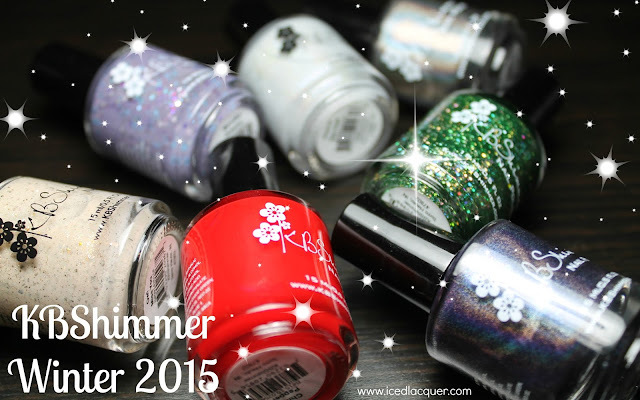 This polish just looks like springtime in a bottle. Even Mr. Iced Lacquer said "It looks like a polish you'd wear on Easter." when I showed it to him. 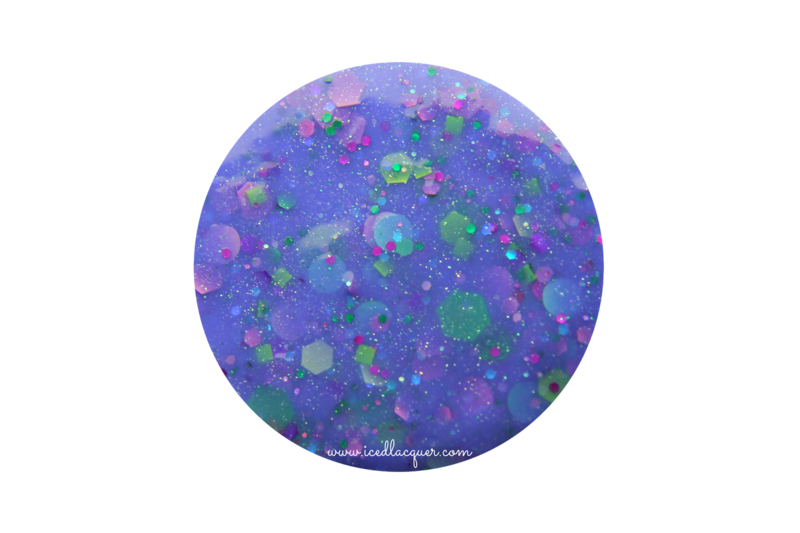 As always, the base is both beautifully opaque but also transparent enough to not totally smother the glitter. 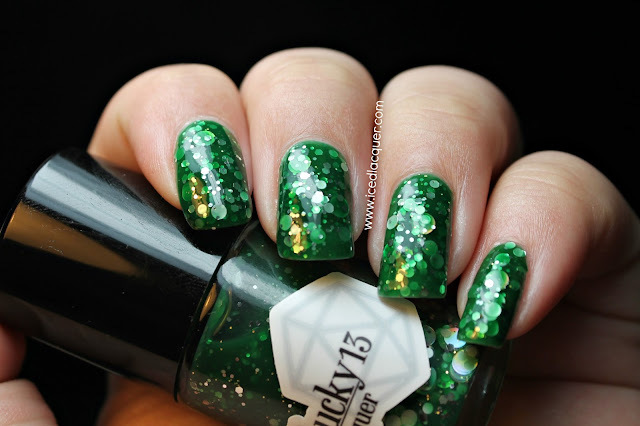 Currently, this polish is only available on Rainbow Connection, but I believe it's going to be released soon as part of a spring collection. I'll make sure to update this post when I know more! 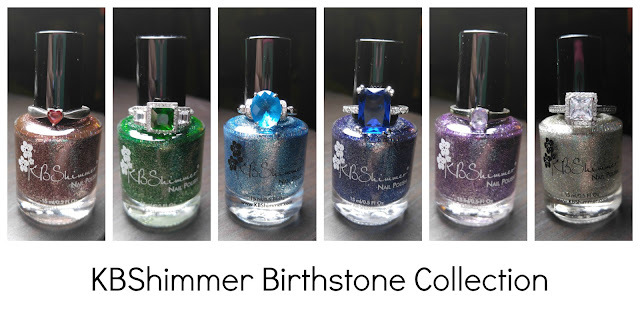 You can buy WingDust polishes HERE on Etsy as well as from several other international stockists. Also be sure to follow on Facebook HERE for updates about restocks and new colors. WingDust Wednesday means you should go check out another WingDust post by Courtney of Swatcher, Polish-Ranger as well as @lacquershine on Instagram! Today is especially fantastic as all three of us (without planning to) featured the same polish! Nail triplets, what what! If you're wearing a WingDust today, feel free to leave your link in the comments below or even use the hashtag #WingDustWednesday on Instagram or Twitter.